Following John Whiting's decision to step down, the Treasury begins the recruitment process for a permanent Tax Director. 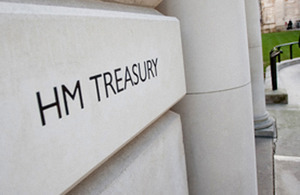 The Treasury has opened the recruitment process for a permanent Tax Director to lead the Office of Tax Simplification (OTS), following the announcement that John Whiting will be stepping down as Tax Director. The Tax Director will lead the office’s work to provide independent advice to the Chancellor on simplifying the UK tax system. The Tax Director provides the intellectual leadership and guidance for the office. Applicants must be leaders with broad understanding of business and personal tax, an appreciation of the operational implications of tax policy change and an understanding of the trade-offs involved in tax policy making. The OTS was created as part of the government’s commitment to making the UK the most competitive country in the G20 and to reduce the complexity in the tax system. The office is being put on a statutory footing in the Finance Bill 2016.